This is the home of Emily O’Reilly Textiles on the web, where you can find all the news and updates about what I’ve been doing recently. It also has a link to my shop, a couple of free knitting patterns, and a page dedicated to free tutorials to do with the fiber based world I live in. 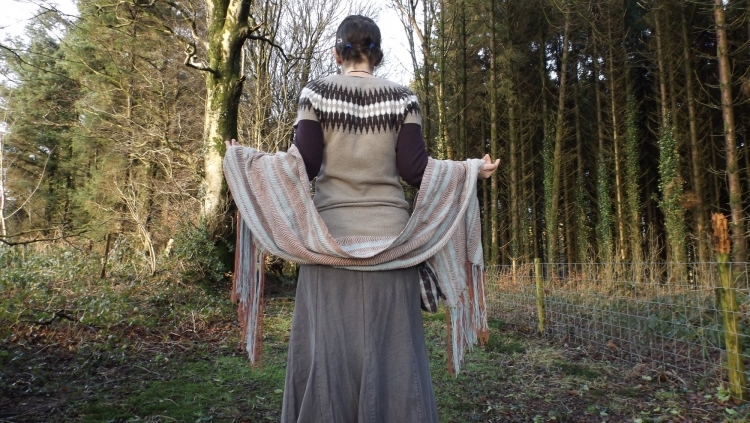 But firstly let me tell you what Emily O’Reilly Textiles is all about……..
My name is Emily ( you might have guessed) and I’m a weaver living in the beautiful west Wales countryside. I gain a lot of inspiration from my surroundings, as well as a lot of the materials I use. I work primarily in wool sourced from local Welsh farms. I also buy wool to use chosen for its ethical source, like the carbon neutral wool produced by New Lanark. I collect dye plants from the hedgerows or grow them in my garden, and dye the wool and fleece here in my home. As you can see nature and sustainable ethics are at the forefront of what I do. I originally got into weaving for the sole purpose of trying to produce ethical and sustainable products, made locally from local materials where every element of the item can be traced to a producer of place. Because of this I began to get interested in every stage of the production of a piece of material. From the cleaning and carding of a fleece, through to the spinning, then dyeing and finally weaving the material. Whilst a lot of my work contains an element of my hand-spun fibers, I’m not quite at the stage of producing completely hand-spun, hand dyed, hand woven work. Hand dyed woven pieces though, so watch this space. 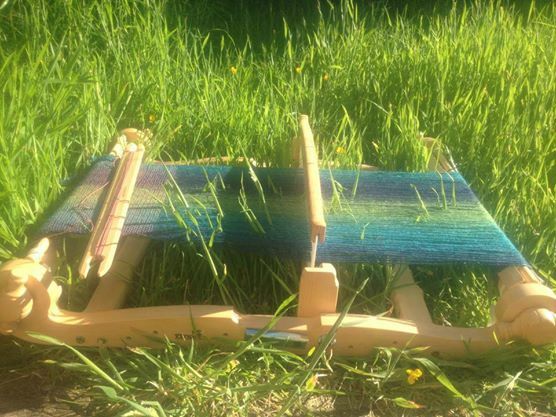 I’m really interested in anything to do with wool and fiber; be it weaving, spinning, knitting, felting, dyeing etc… I can often be found with either a pair of knitting needles, a drop spindle, or more recently my folding loom when out about. I’ve also begun to delve into the world of writing my own knitting patterns, which you will be able to find on this site or my ravelry page here . Aside from all this I’m also in my first year of studying a Textile degree. I’m hoping this will give me a broader knowledge and insight of textile production to really expand the work that I do. I hope that explains a little bit about me and what it is that I do. If you would like to find out more you can scroll down to the recent posts part of this page and read updates from my blog. There are also a few other pages for you to explore and find out some new things to try, not to mention my shop of course! Please feel free to leave me a comment or get in contact by email – emilyoreillytextiles@gmail.com . Earth Day April 22, 2019 The first Earth Day was held on April 22nd in 1970, and is credited with launching the modern environmental movement. The Earth Day Network seeks to broaden and mobilise the worldwide movement to build a sustainable environment, address climate change and protect the Earth for future generations. A few things I’ve been dyeing to show you..